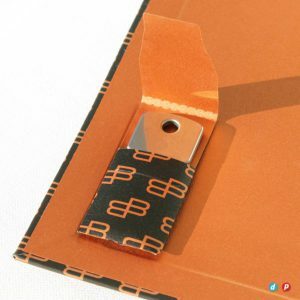 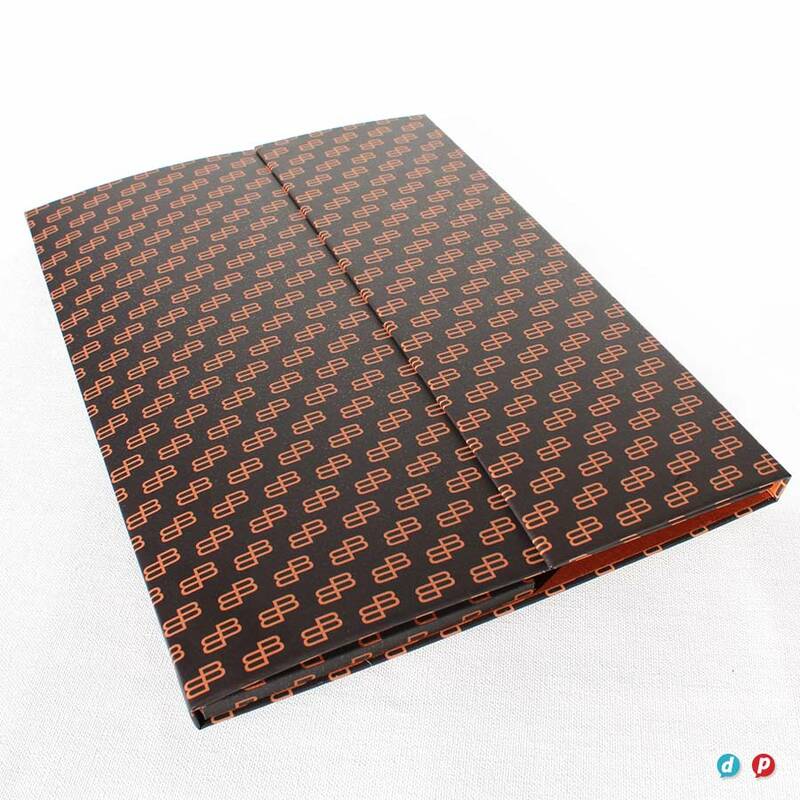 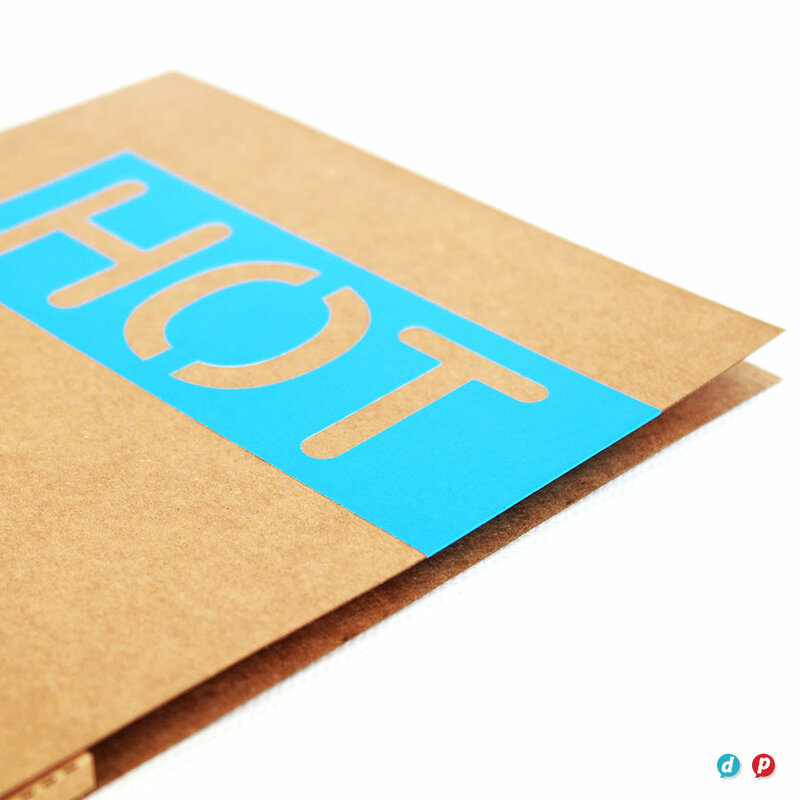 Hot Ink makes beautiful hand-finished folders. 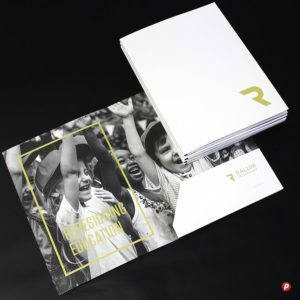 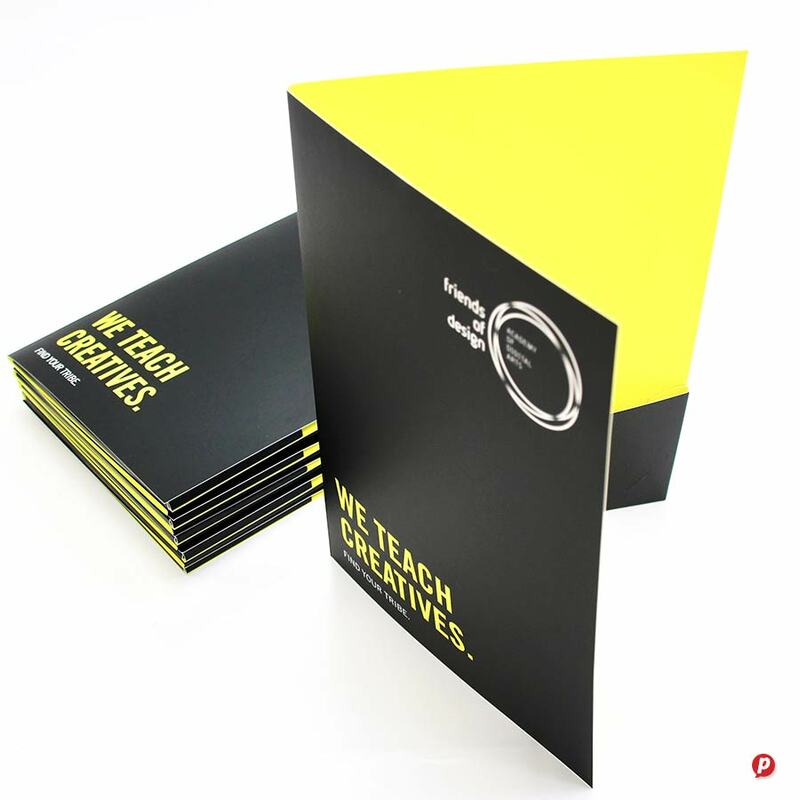 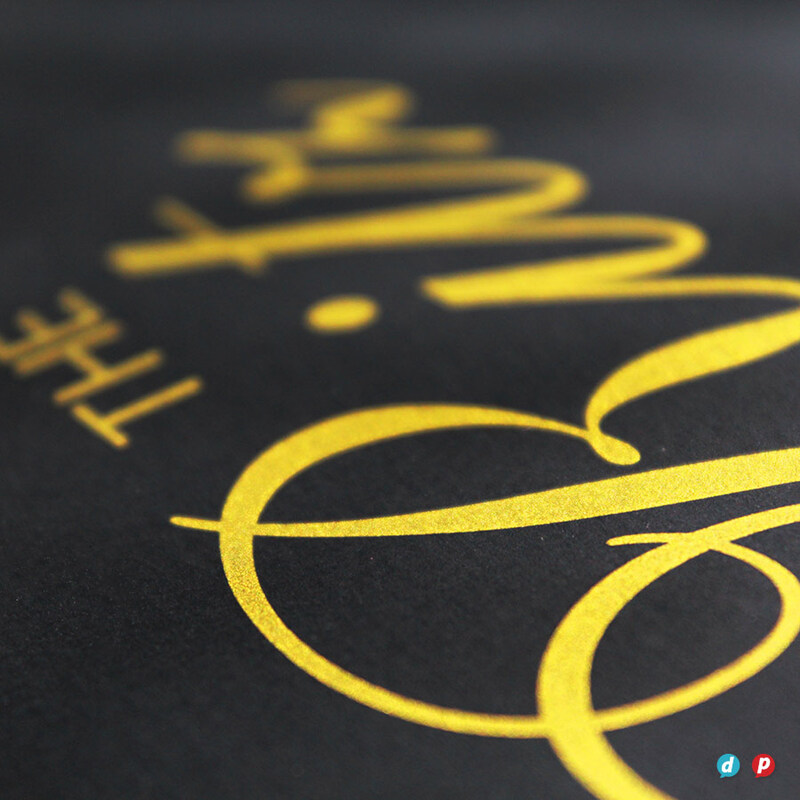 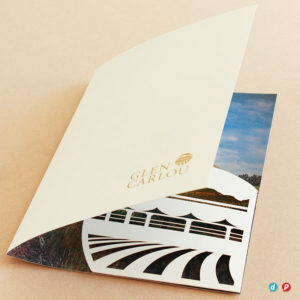 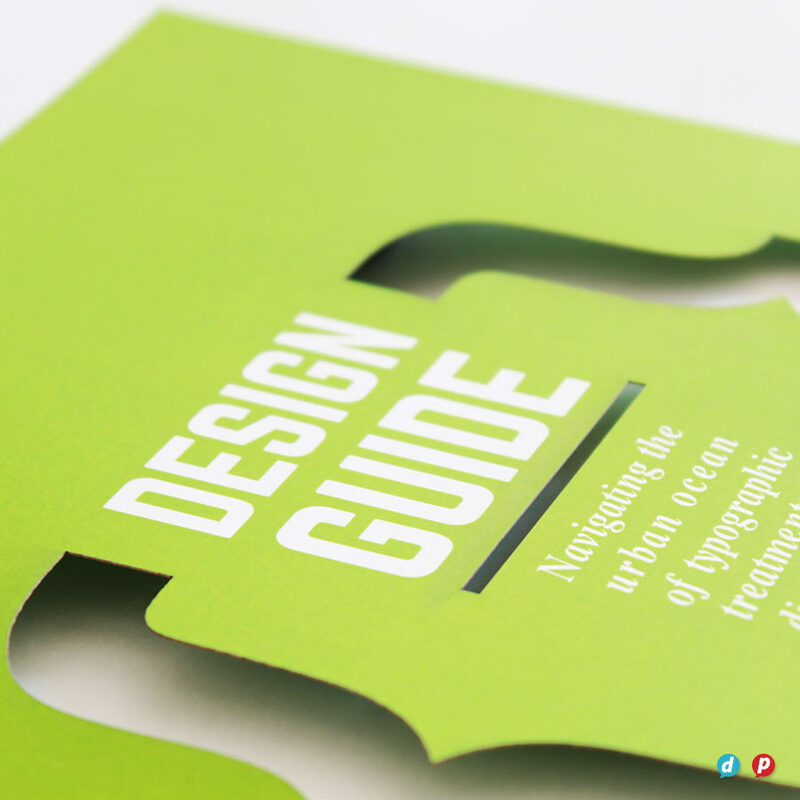 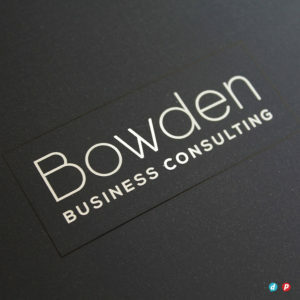 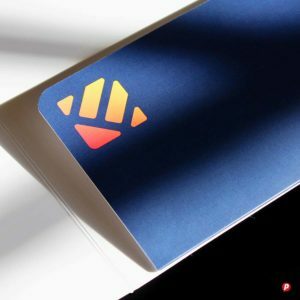 We print onto card stock up to 400gsm for a top quality feel plus our folders can have a variety of finishes including lamination, spot gloss varnish, laser cutting, metallic gold & silver ink and now even opaque white ink! 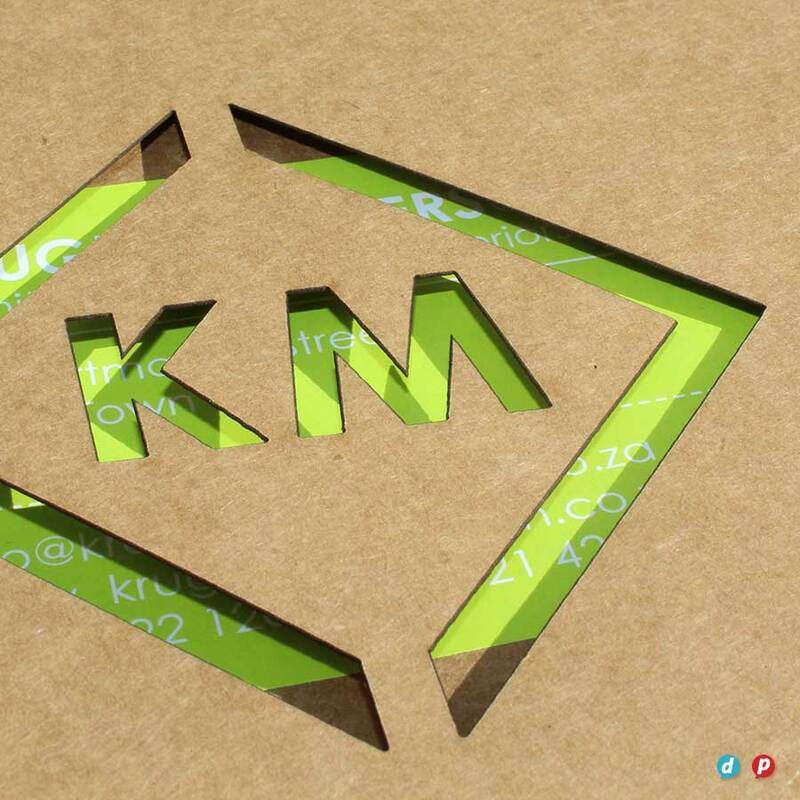 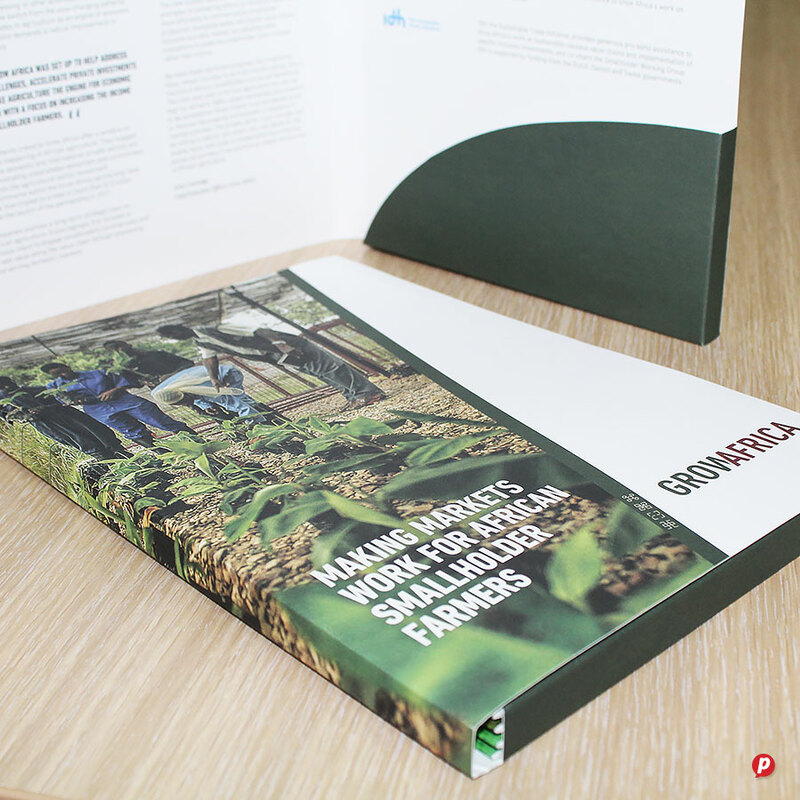 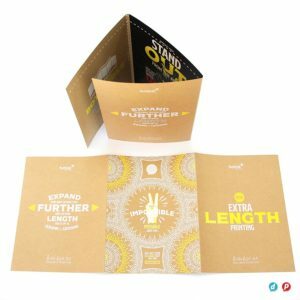 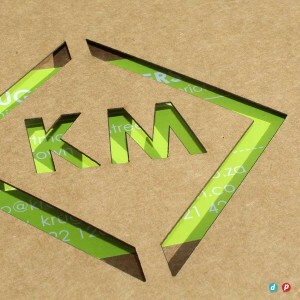 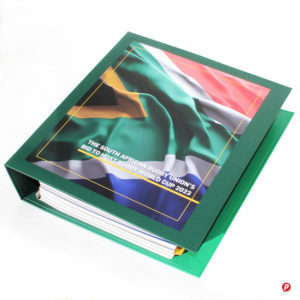 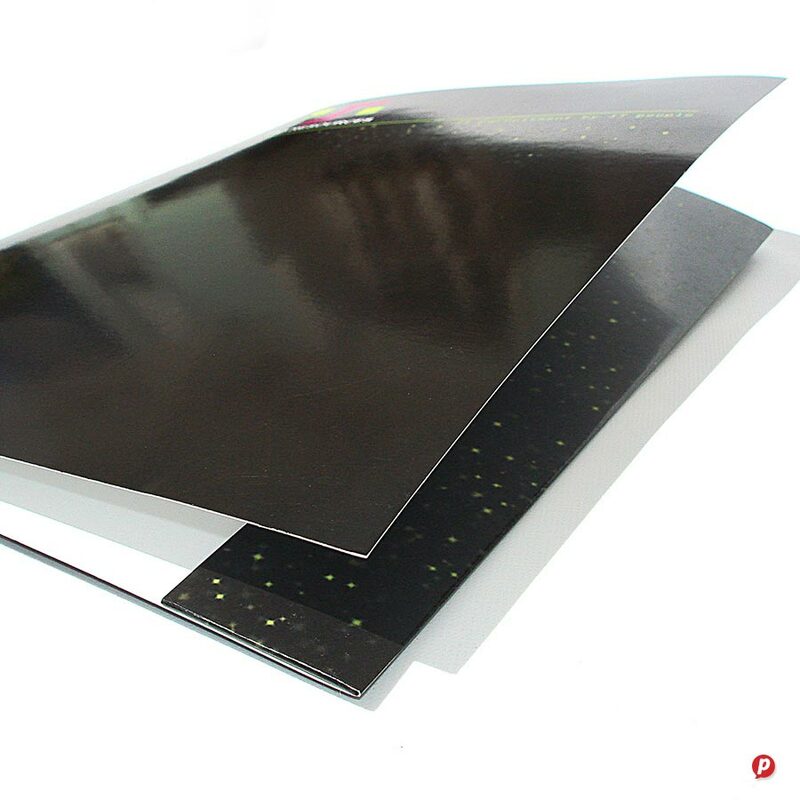 Our brand new extra-length feature makes us capable of laser printing up to 1200mm wide allowing us to produce multiple-panel folders which means super quick turnaround and no minimum quantity! 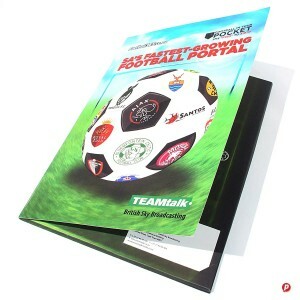 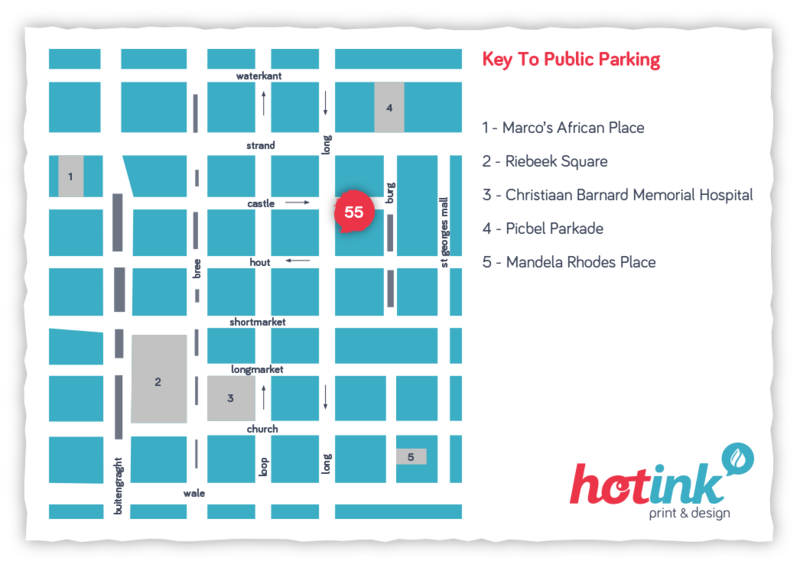 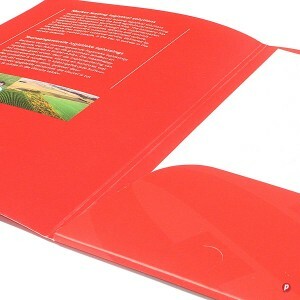 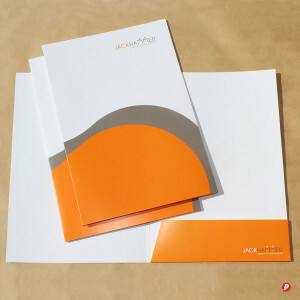 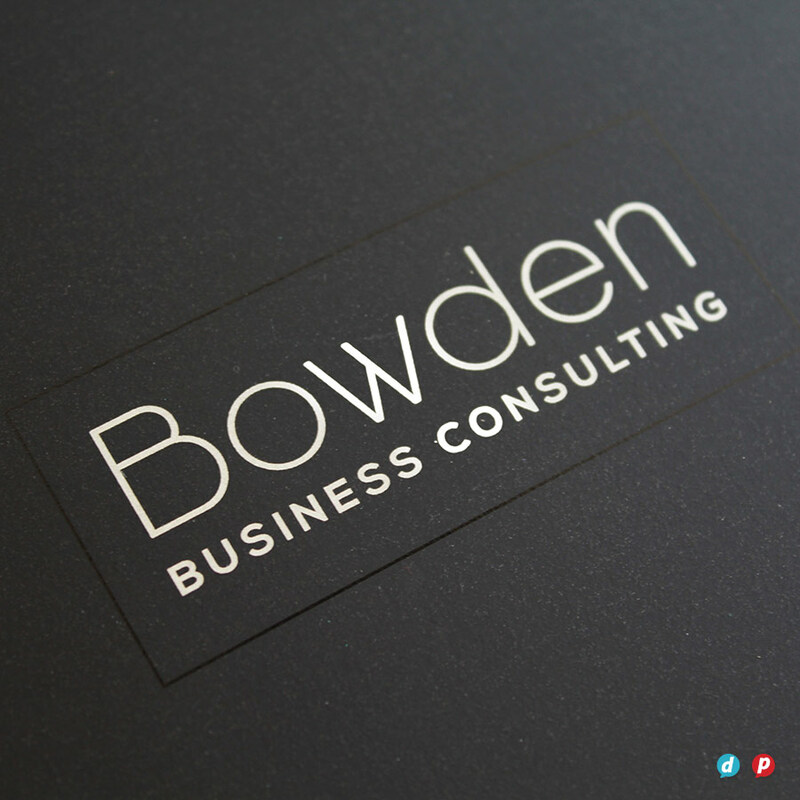 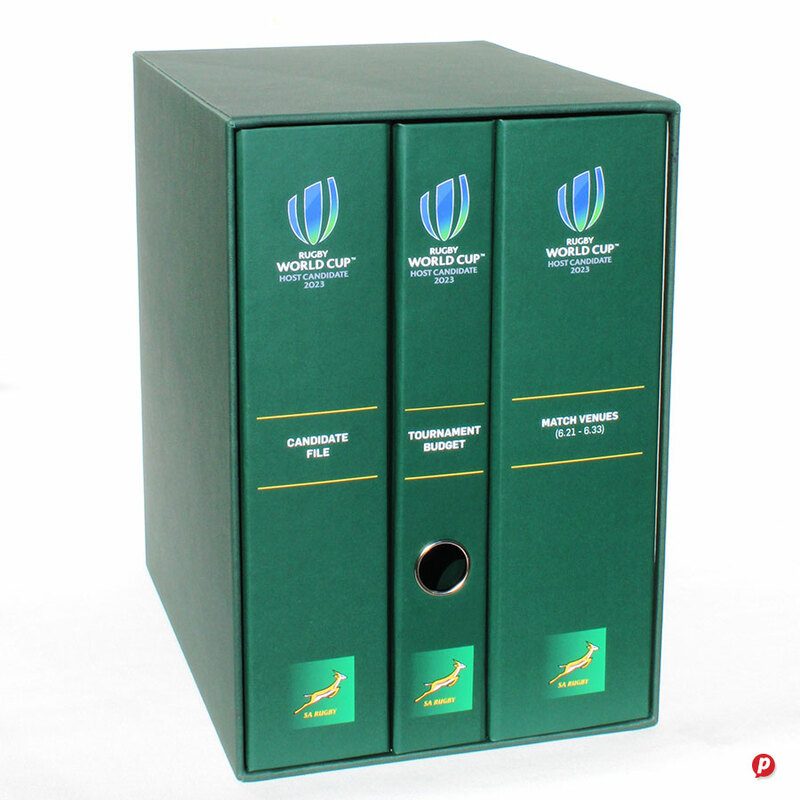 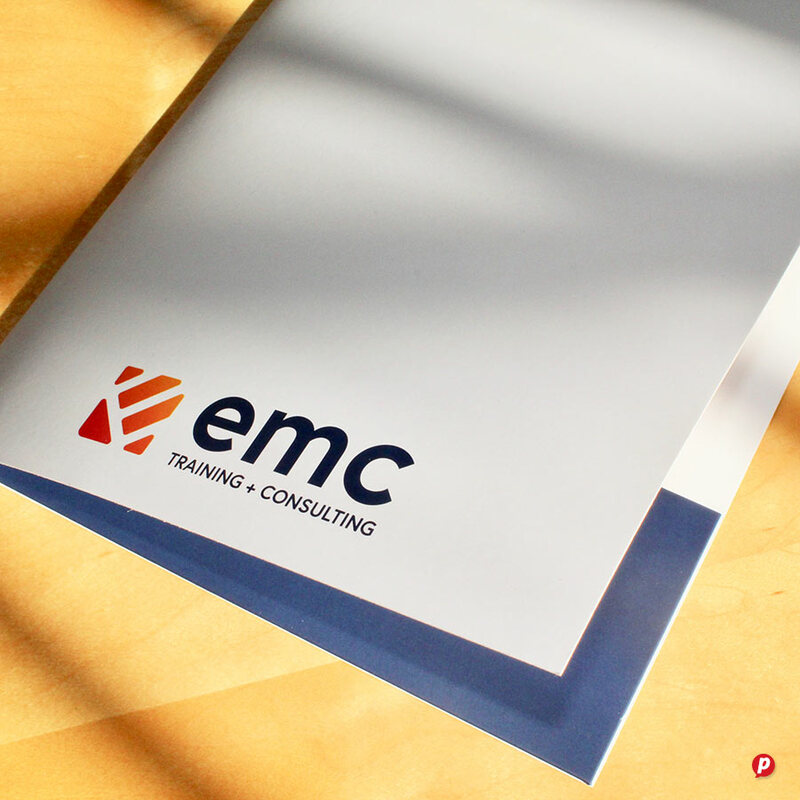 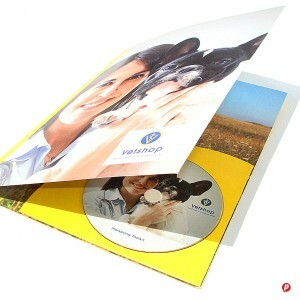 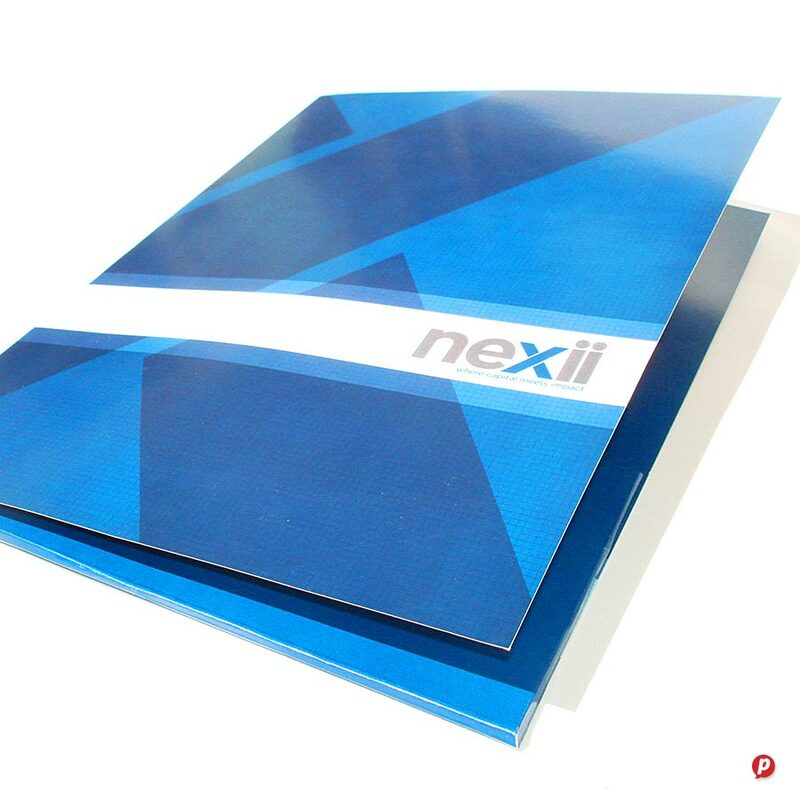 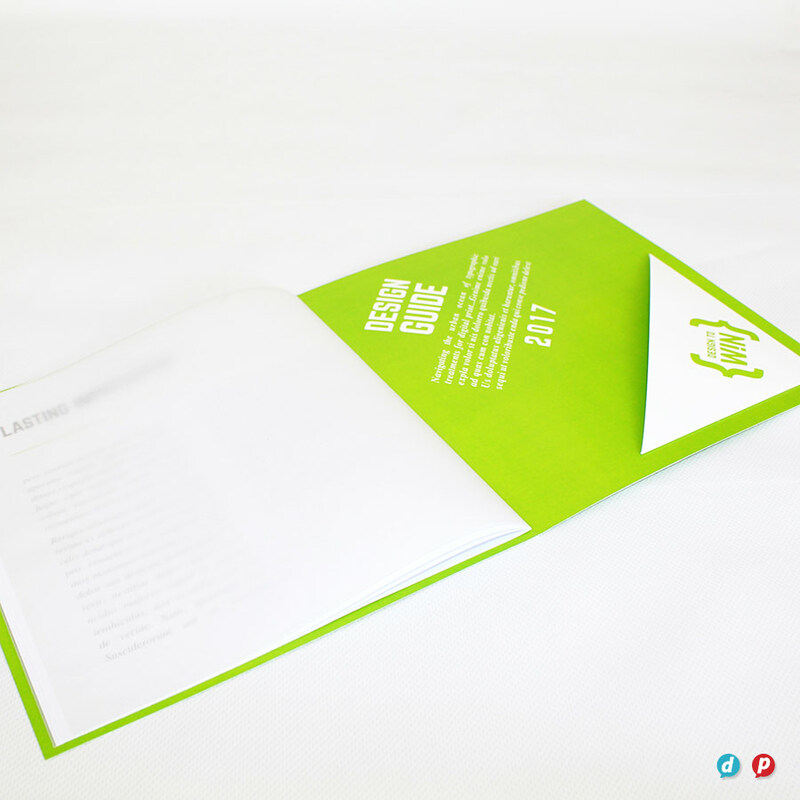 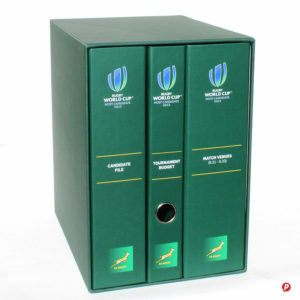 For the most cost effective folder printing, we have standard templates which are available immediately (rates here). 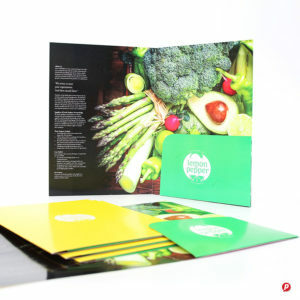 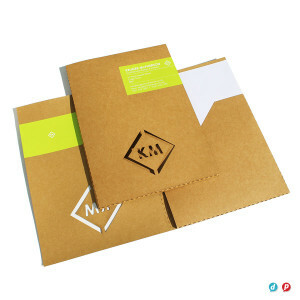 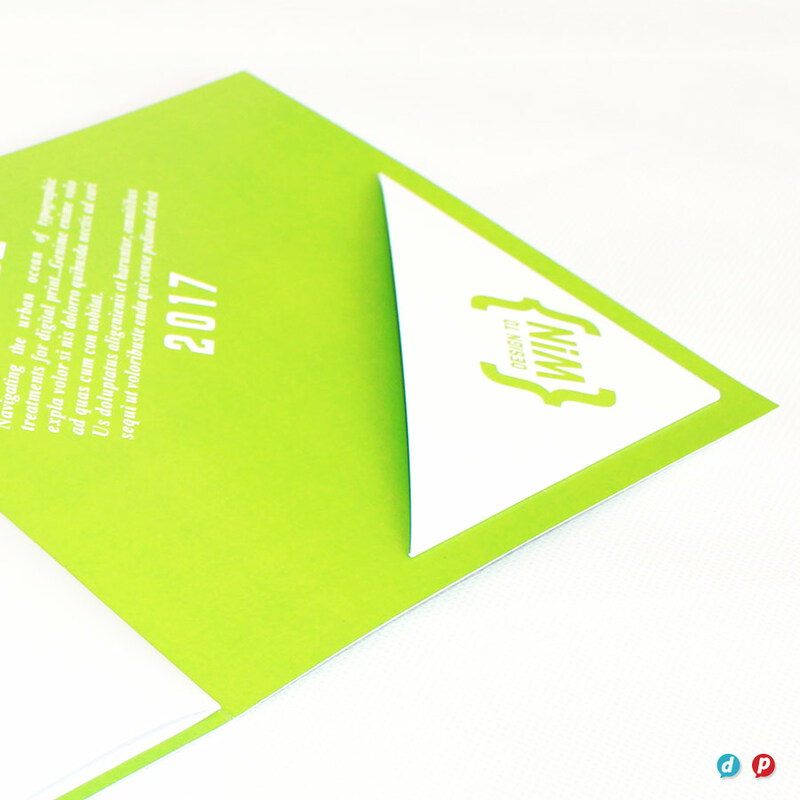 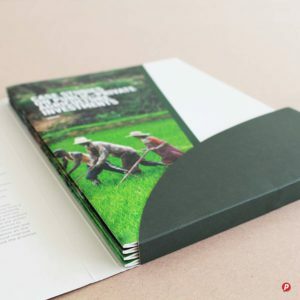 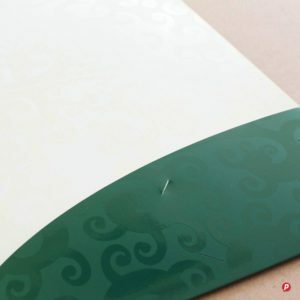 We also offer a variety of recycled card stocks if you are looking for greener print options for your folders. 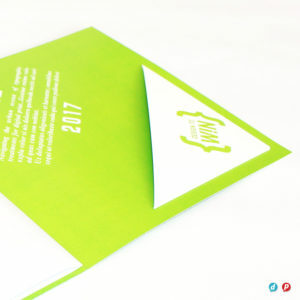 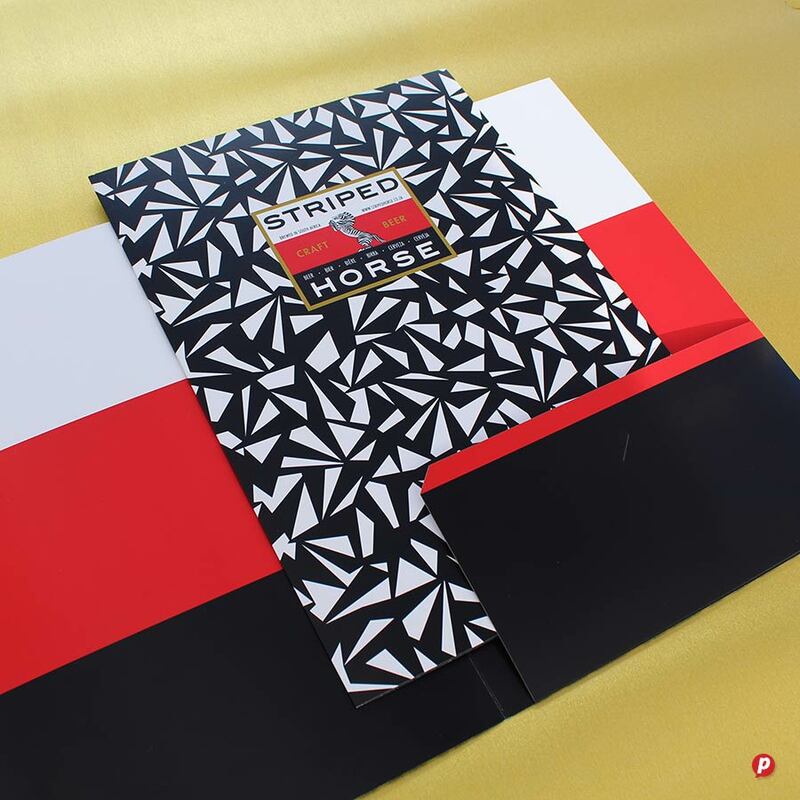 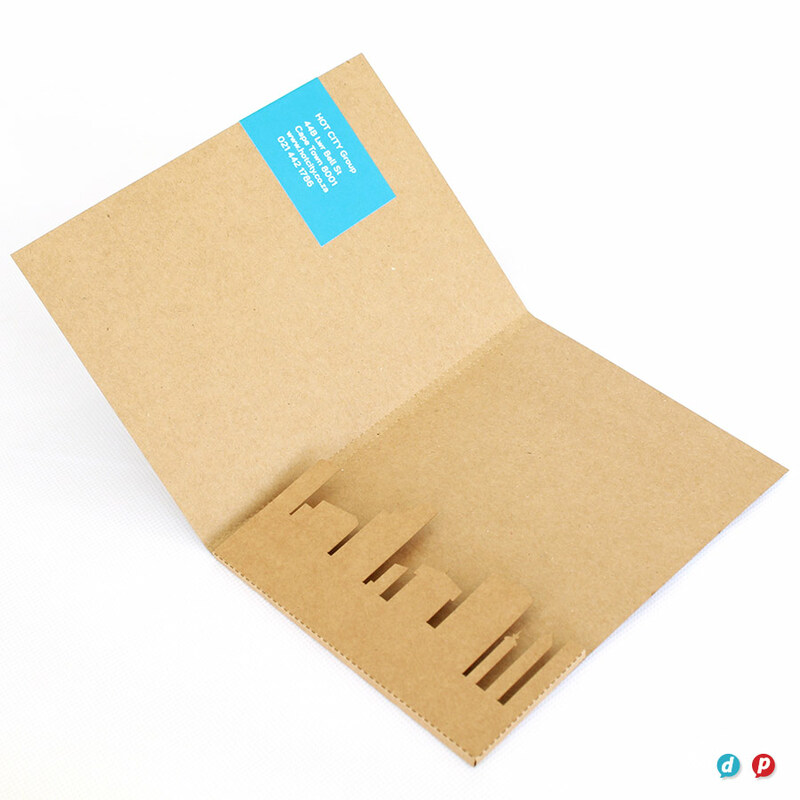 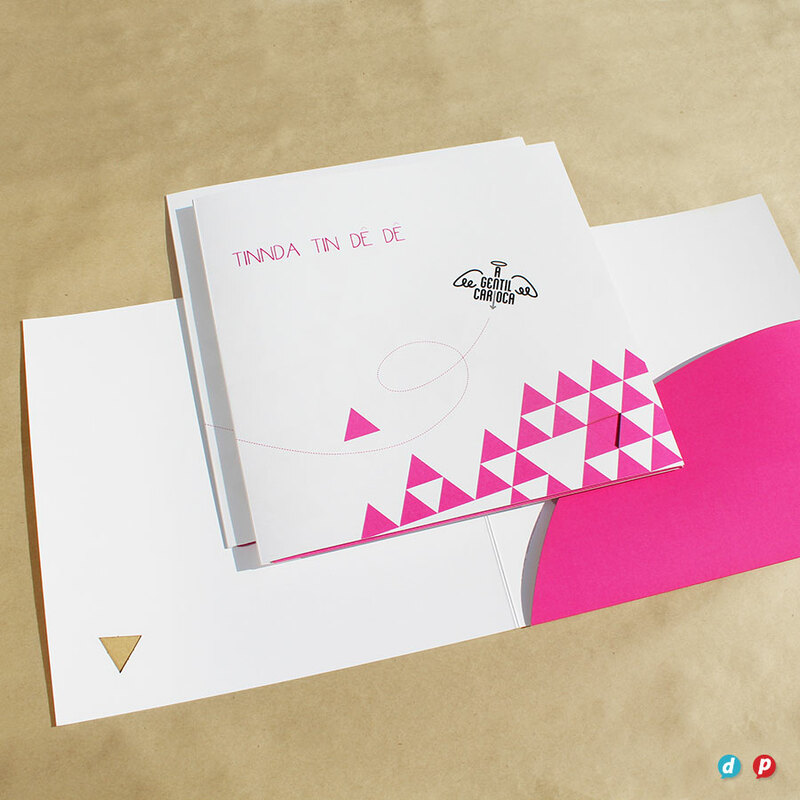 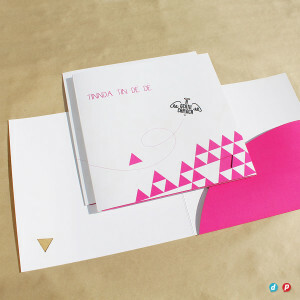 But if you want to boost your normal folder into a creative stationery piece that people will want to keep, scroll down for some guidelines (or view more inspiration here). 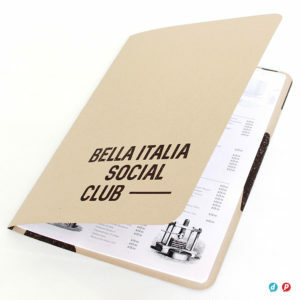 Order before end April 2019 and pay less 20% (T&Cs). 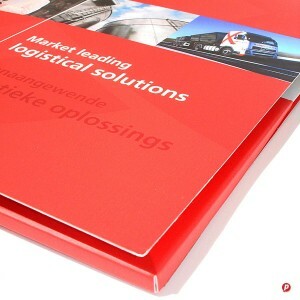 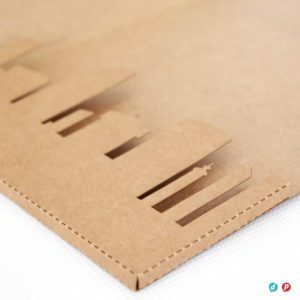 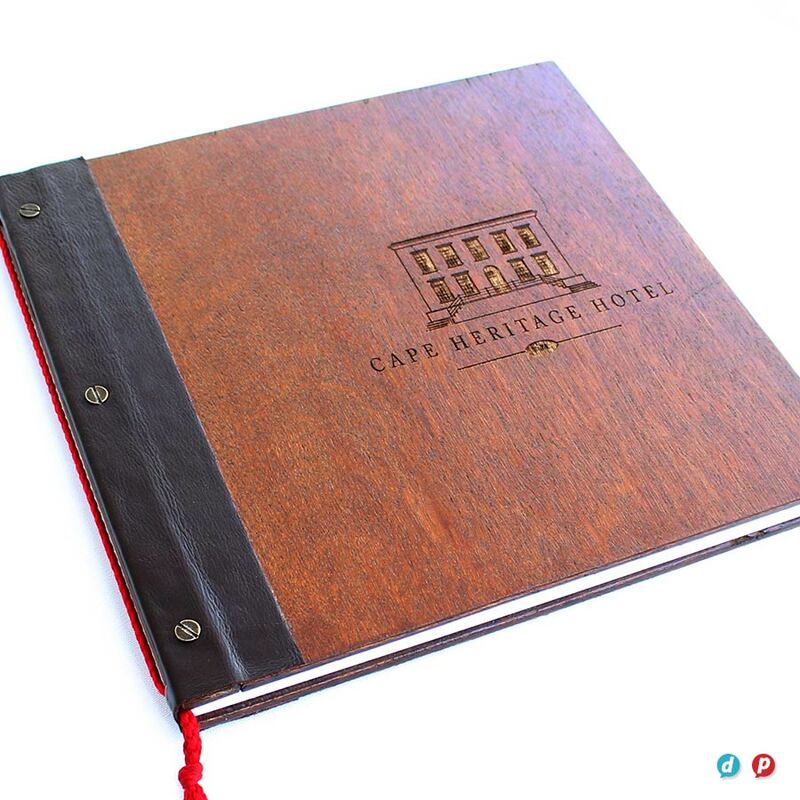 Laser cutting adds another dimension to the character of your folder and can be applied to both the covers and the pockets. 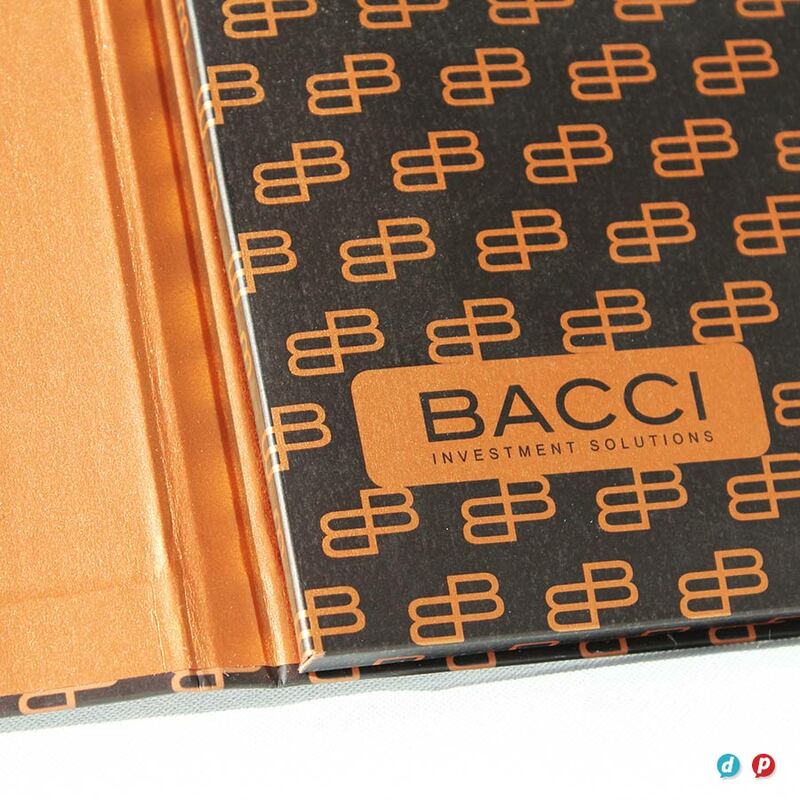 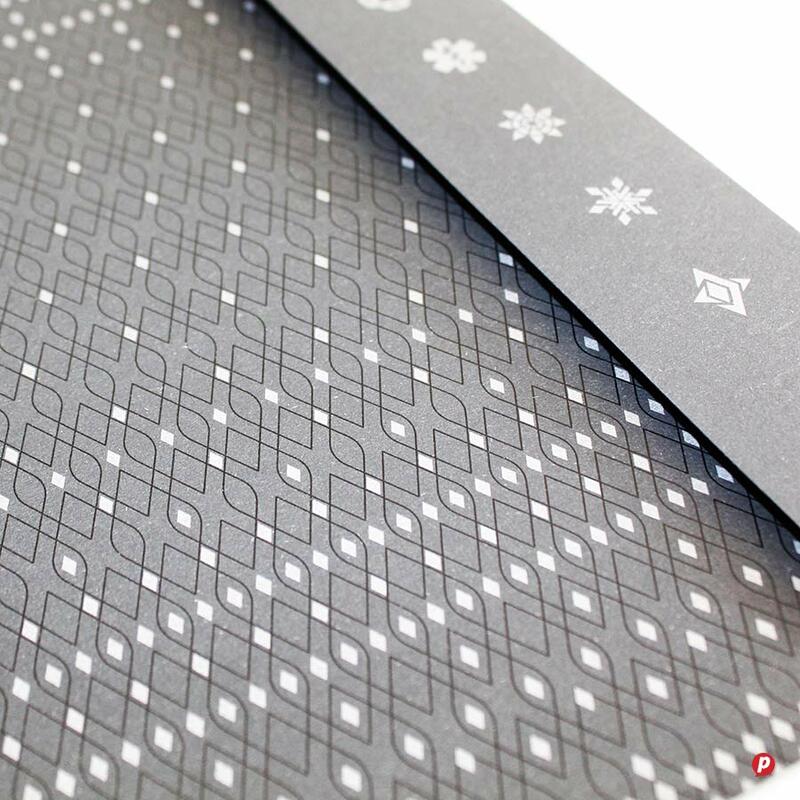 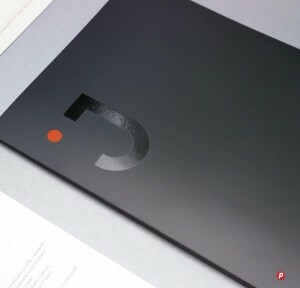 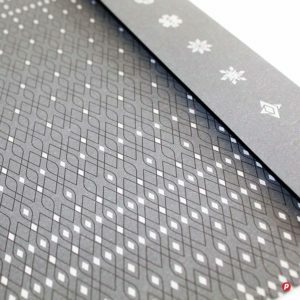 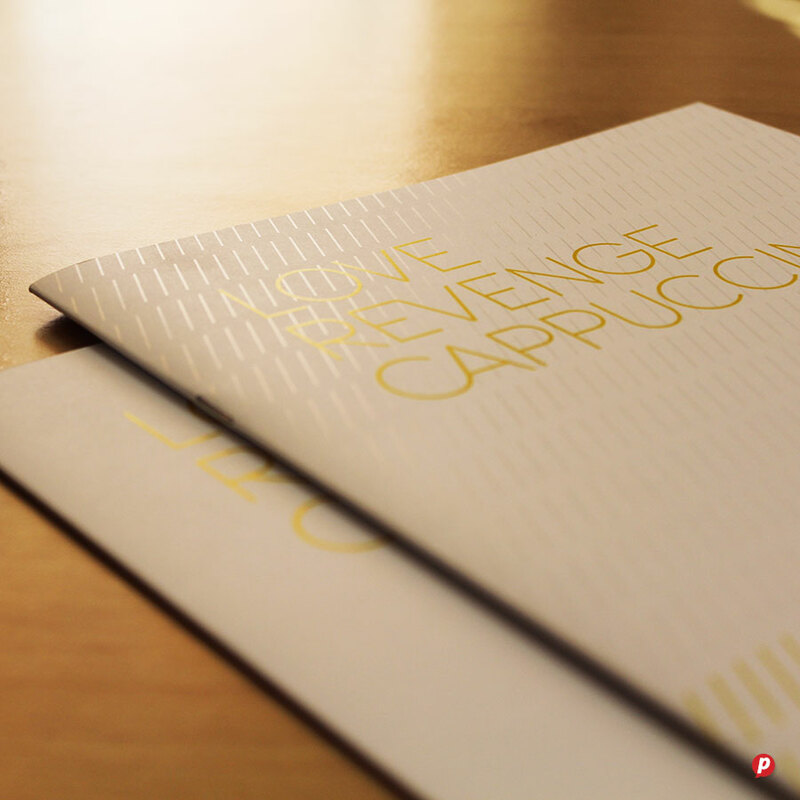 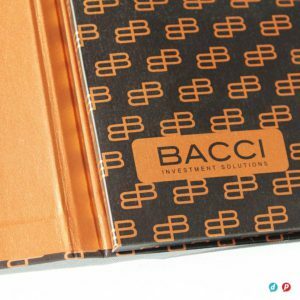 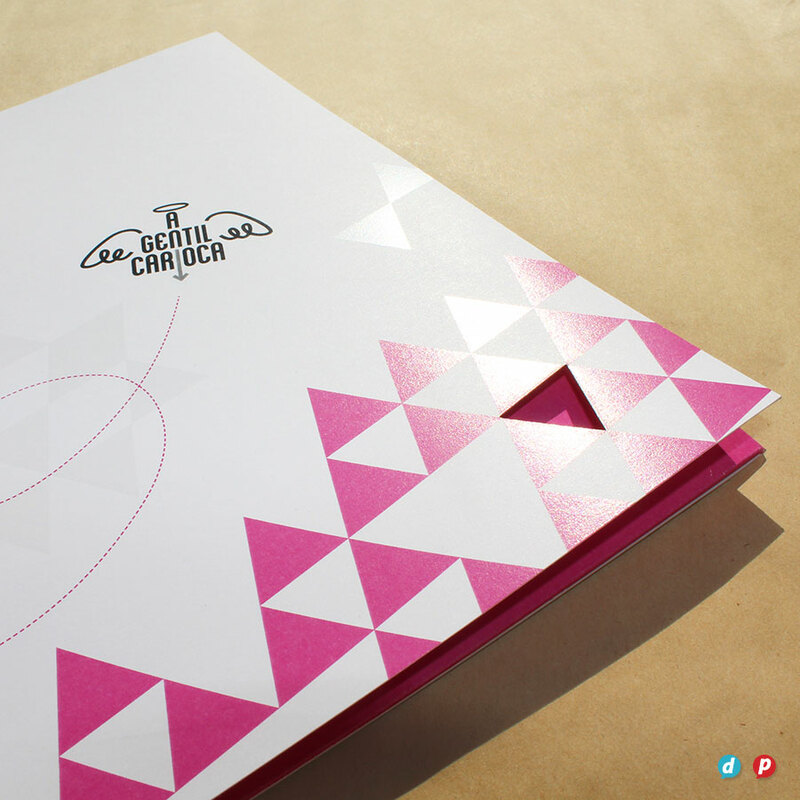 The use of perforated lines instead of creasing gives an industrial treatment to a standard unprinted folder.